These biodiscs are amazing. I bought my first one at the Reiki Retreat, from someone who how said he kept several in the bed to help with aches and pains. I was very surprised. I could feel the energy from it, it felt almost like Reiki! I used it to charge water, and compared it to Reiki water, and to untouched tap water. Everyone agreed the Reiki water and biodisc water tasted similar, and much better than the untreated tap water! I have gotten other reports on using it with aches and pains, and for activating the third eye, and I have used it on cystic blockages in breasts. We are all explorers - help figure out new uses! Take a moment to hold the biodisc in one hand and feel the energy with the other, 6-8 inches away. It is a "lighter" frequency than Reiki, and may take 5-15 seconds to feel. Try slowly moving the biodisc, and see what you feel. 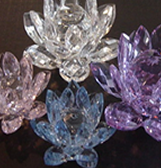 For me, they give off energy feeling similar to Reiki, though a "lighter" vibration. Most feel energy on the design side, but about 1 in 6 feel more energy on the non-design side. Energy gets stronger more your disc is used. 2. Aches and pains – sleep with in bed , don't need to be awake ! 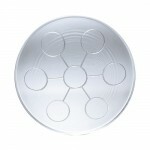 According to the literature: "The Bio Disc is made of 13 Technically Engineered natural minerals. A Nano Fusion process, using several high heat fusion methods, structurally bonds the minerals together at a molecular level. The combination of the minerals and the fusion techniques produces a catalytic conversion of energy known as “Scalar Energy”."